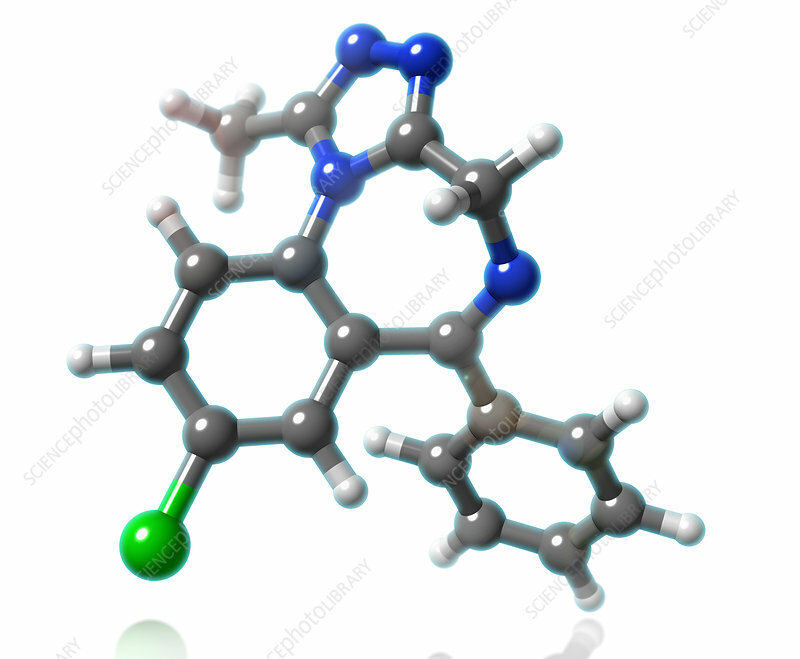 A molecular model of alprazolam (a.k.a. Xanax), a psychoactive drug used to treat anxiety and panic disorders. As a benzodiazepine, alprazolam enhances the effect of GABA neurotransmitters to result in sedative or muscle relaxant properties. Atoms are coloured dark gray (carbon), light gray (hydrogen), blue (nitrogen) and green (chlorine).